Looking for images for teaching, study, or research? The JHU Visual Resources Collection is accessible from the ARTstor Digital Library for all JHU faculty, students, and staff. The ARTstor interface allows for consolidated searching across the JHU Visual Resources Collection of 160,000 digital images and the ARTstor collections of more than 1.9 million images. 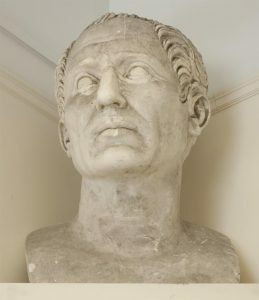 Images are frequently being added to ARTstor. For example, approximately 32,000 images of contemporary art from the Larry Qualls Archive of Contemporary Art were recently added to ARTstor. You can find out more about additions to ARTstor by checking out the ARTstor blog or by subscribing to the ARTstor email list. ARTstor also provides a support site for using ARTstor and makes available useful searching tips. 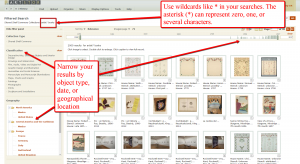 For example, did you know you can use an array of wildcards in ARTstor? You can also improve your ARTstor searches by using filters. ARTstor provides many resources for users, and the VRC aims to do what we can to augment the ARTstor user experience. From finding folio 39r of the Book of Kells to learning more about 20th century museum exhibitions, the VRC strives to create metadata for our local collection images that will aid in both the discovery of specific images, as well as in browsing areas of general interest. For example, if you are wondering if we have images from a particular source at the library, you are able to search by citation information. 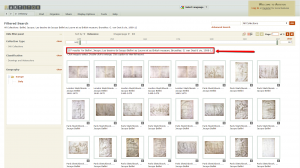 Not sure what you can do with ARTstor images once you have found them? 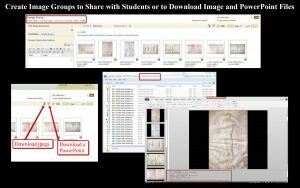 You can create image groups which can then be shared with your students, downloaded as jpegs, or exported as PowerPoint files with the metadata conveniently appearing in the notes section below each slide. Need help accessing or using ARTstor? Want a one-on-one training session or a group training session? Contact the VRC at vrc@jhu.edu, and visit the Visual Resources Collection guide for more information. Need images not available in ARTstor? Click here to access our interactive pdf order form.